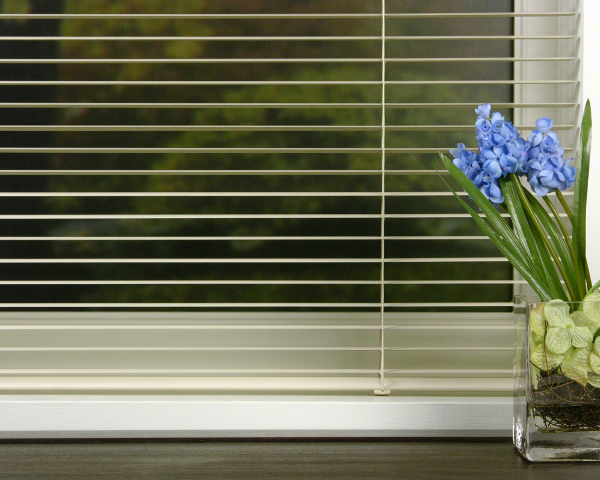 Faux Wood horizontal blinds are made of poly-vinyl material with the look of real wood offering real value. 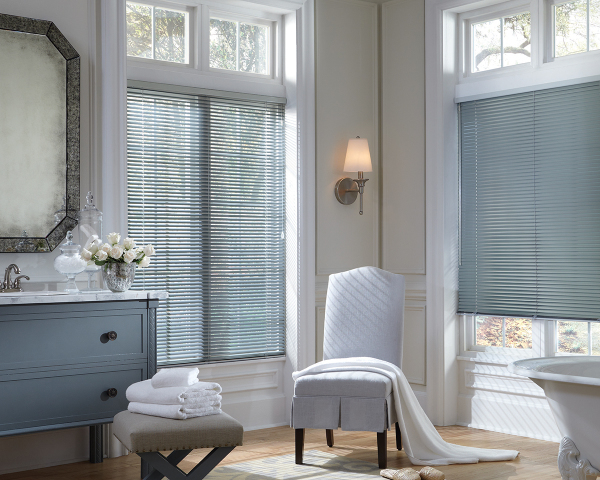 Faux Wood blinds are perfect for high moisture areas such as baths and kitchens and come in 2 inch or 2.5-inch size vanes and are scratch resistant and chip proof unlike real wood. 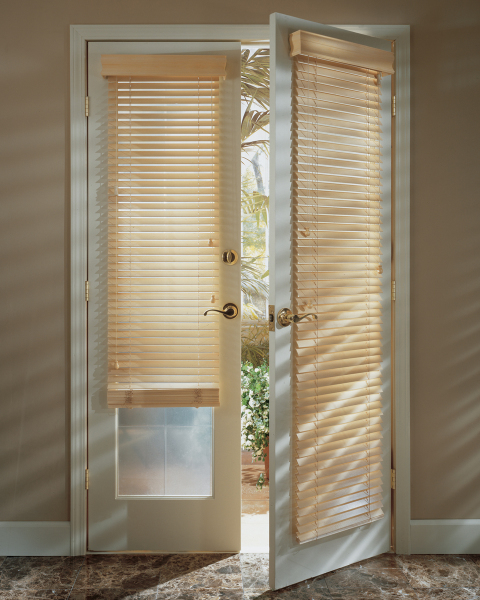 Wood Blinds offer the beauty of real wood which brings the natural elements of the outside in your home. The slat sizes come in 2 inch and 2.5 inch sizes with colors that come in furniture -inspired finishes to match furniture pieces in your home. The no holes option provides optimal light control for light control and privacy. The cloth tape option can be added for that extra accent color to coordinate in any room. Vertical Blinds are a classic solution to those large windows offering contol of light and privacy in your home, Vertical Blinds come in easy to clean vinyl, cloth and louvers with cloth inserts adding warmth and beauty. 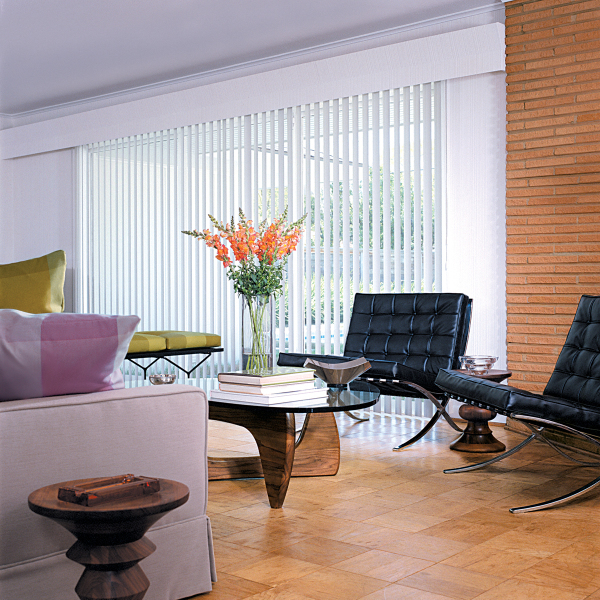 Vertical Blinds offer an array of patterns, textures and colors making vertical blinds a great solution to many windows. Aluminum Blinds offer a mix of traditional and contemporary design to your home. 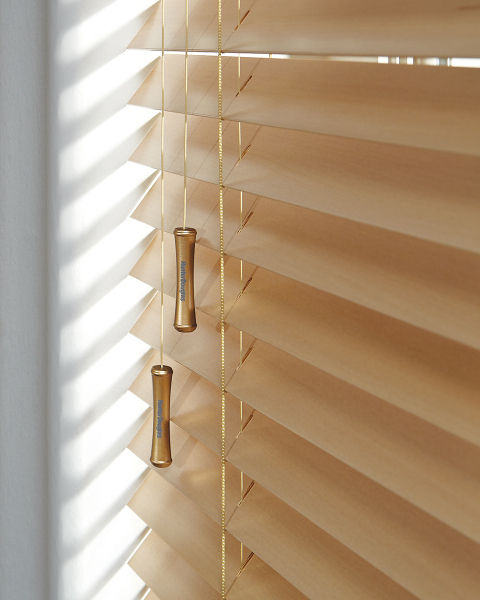 Mini Blinds are sleek functional and stylish which also offer privacy and control of light into your home. Slats come in 1/2 -inch, 1-inch and 2-inch size vanes and with the variety of colors in new bold, rich and metallics can meet your design needs. The best feature of all is the light weight operation of pulling them up and down and also the affordability. Serving South Orange County, California and surrounding areas.